A typical work at home call center job requires that agents live in specific states or countries, so if you would like to find such a job in your state of Missouri, you will want to start with these companies. Remote tech support agents and customer service reps work from their own home office's, servicing this firm's clients. All are independent contractors and are paid on per-minute rate with a maximum of $10 per hour but there is no minimum. Alorica, once known as West at Home, employs home-based customer service reps in Missouri. They are compensated with a per-minute or per-call basis but will earn at least the minimum wage in Missouri. Apple's remote tech support and customer service agents work in this division, which hires across the U.S. While jobs often have locations listed in the postings, agents do not have to live in those cities. Apple provides computer equipment. Employees of this company work in a range of call center jobs jobs including sales and customer service. Additionally ARO employs insurance auditors and LPNs and RNs to work from home. Specializing in virtual assistant or concierge services, company's remote agents handle customer requests phone, e-mail, and chat. Fluency in French, German, Spanish or Italian is a plus. Call center agents sell and provide device replacement insurance for this company which hires home-based employees for full- and part-time work. Registered nurses work in medical call center jobs from home. Agents are employees and paid approximately $25/hour. Jobs are full time, and overnight work may be available and/or required. Formerly CenturyTel and EMBARQ, CenturyLink is a provider of voice, broadband and video services for consumers and businesses in 33 states including Missouri. Work-at-home call center agents are paid around $10-11/per hour. Bilingual agents are encouraged to apply. Virtual call center agents receive incoming calls and provide customer service, sales or technical support. Convergys offers paid training and benefits. Schedules with 16 to 40 hours per week are available. Car rental company offers remote call center positions for reservation agents for Enterprise Rent-A-Car, Alamo Rent A Car, and National Car Rental. Pay starts at approximately $11/hour. Company hires agents, including licensed insurance agents, for a variety of call center jobs for its clients including outbound sales, bilingual customer service (Spanish and French) and financial services. Agents are paid at a rate that is based on minutes of talk time plus sales incentives in some cases. Agents must become "certified" to work for individual clients. This certification is not paid. $50 (or sometimes more) for a background check is required. The company's work-at-home program hires home-based employees who take inbound customer service calls for its clients. While all positions involve some sales, agents provide service in billing, answer account inquiries, take product orders, schedule installation or do technical troubleshooting. Company provides tech support services for its clients, using work-from-home chat and call center agents. Its remote services technicians answer inbound calls. WAH employees take in-bound customer service and sales calls. Training is paid, and once started agents receive around $9/hour. Applicants who are offered a position must pay $45 for a background check. Bilingual skills a plus. Global company hires associates for 20-30 hours/week to work from home as call agents and other fields. Bilingual call center agents needed. Benefits include paid training, 401k. Pay is $9-10/hour. Company hires employees as inbound work-at-home agents, selling magazine subscriptions. Pay with incentives is $10-$14 an hour. Call center company hires work-at-home agents for customer service and tech support in Missouri. 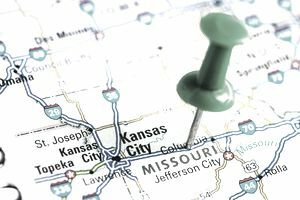 There may be more companies on this general list of call center companies that hire agents from Missouri.